Periodization: Period or Question Mark? In Part 1 of this series, Lon Kilgore examines the research behind one of the sacred cows of strength and conditioning. Periodization is king of all exercise-programming methods. 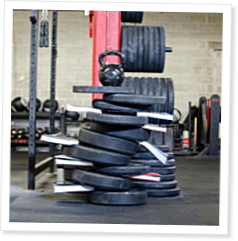 Classical periodization, the English translation of Leonid Matveyev’s Soviet model of programming, is the single best model and should be used in all strength-and-conditioning training for all healthy and athletic populations. So says the National Strength and Conditioning Association (NSCA) and anyone who relies solely on its publications. This bias toward a single training approach can be seen simply by examining the sections in NSCA publications that describe how to program exercise. If you oppose the belief that training should be periodized for everyone everywhere, then historically the NSCA—and anyone who has bought into its dogma—will automatically brand you as ignorant of “best practices” (an educational buzz term meaning “what we assume everyone else does”). Periodization is overwhelmingly presented as best practice in all NSCA publications on programming—as superior to all other models of programming. So if we have the only body of strength-and-conditioning academics and professionals stating we must periodize using a single model, and if there is sure to be professional blowback if we do not, excellent reasons, great logic and a concrete scientific foundation must underpin that position. And we should obviously see superior fitness gains resulting from that position. Lon Kilgore reviews academic literature on periodization from 2000 to 2015 and finds little support for the NSCA’s contention that classical periodization is superior. Lon Kilgore takes a look at the machine that produces fitness professionals, and he doesn’t like what he sees.